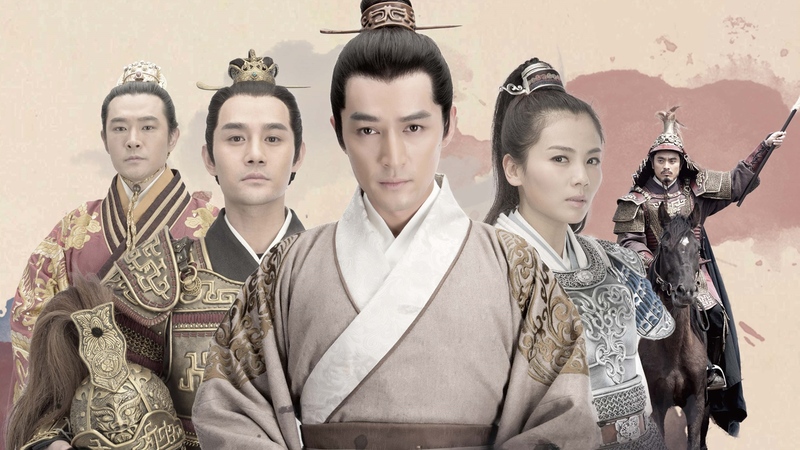 Nirvana in Fire [not sure what the Chinese title is, but don’t try directly translating anything from Chinese, you’ll end up with weird results] was the most popular Mainland drama in 2015, even the most popular of the last 10 years if you believe the hype machine, which I didn’t mostly cos the only other Mainland drama I know is the one where Fan Bing Bing became the Empress of China. Basically, the story’s set around 500AD, I don’t know the official name for this period, but it was after the Three Kingdoms and before the Sui/Tang dynasties, and generally is an underexposed era for historical dramas. Basically, China was split in half [north and south] and those regions were further split into mini-kingdoms. The one in the drama is made-up but they talk about the Wei, which was real, and the other big kingdom at that time was the Jin, either northern or southern, I’m not sure. I actually like dramas that are set in unfamiliar periods, though to be honest most periods of Chinese history are pretty unfamiliar to me. I know the vague details, but not the specific player names or the majority of main events/rebellions/coups etc. Nirvana in Fire focuses on a main character, Mei Chengsu, the leader of the Jiangzou Alliance [basically a bunch of criminals, rebels and outlaws, kind of like Mance Rayder and the wildlings in Game of Thrones], who travels to the capital to make an unfavoured prince the next Emperor. He does this through manipulation and meticulous planning, sometimes unbelievably meticulous as every small character seems to be one of his spies and no one else realises it.